Accuweigh recently supplied keg weighing scales to the Roebuck Bay Hotel in Broome, Western Australia. 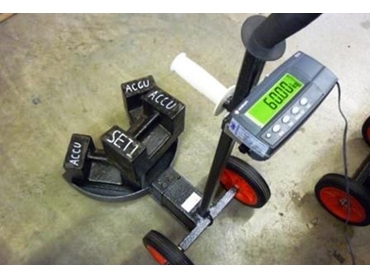 Supplied by Accuweigh’s Perth branch, the keg weighing scales eliminate the need for staff to lift kegs of unknown weight to estimate their liquid capacity. Accuweigh’s keg weighing scales comply with Duty Of Care requirements associated with staff weighing kegs of beer, a process that usually requires manual lifting of potentially heavy weights onto scales and off again. Connected kegs are typically weighed between shifts to ensure there is enough capacity for the next bar session. Accuweigh’s keg weighing scales eliminate the strain and effort required to lift kegs that can weigh up to 60kg when full. With these scales, the keg only needs to be tilted slightly and the weighing plate positioned underneath with the keg raised off the floor using the leverage gained from the handles and the wheels acting as a pivot point. Australia’s leading industrial weighing company, Accuweigh operates eight branches across the country providing superior product support on keg weighing scales and all industrial weighing equipment.